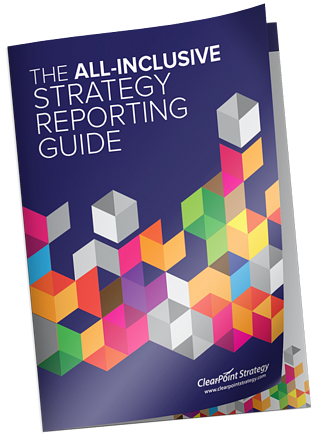 Looking to create a strategic reporting policy? Use our proven guide as your road map! Creating a comprehensive internal reporting process can be exhausting, time-consuming, and labor-intensive. From scorecard management and target setting to meeting preparation and process changes, your guide should be a detailed source of information that keeps your team on track. To help you with that goal, we’ve put best practices into our strategic reporting and policy guide! All the details of a comprehensive strategic planning process. Detailed tips to help you apply the information to your own reporting guide. How to implement this information in ClearPoint. Download this guide now to ensure your internal reporting process is both stable and successful!